55&quot; 6 series class 4K HDR Roku smart TV. Roku TV personalized home screen. Dolby Vision High Dynamic Range performance. 96 Contrast Control Zones. Wide Color Gamut with NBP Photon technology. Voice Remote. Dual-band 802.11ac WiFi and Ethernet. 3 HDMI 2.0a inputs, analog video input, USB port. 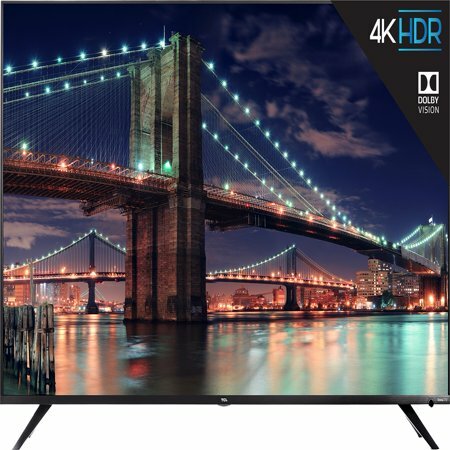 55" 6 series class 4K HDR Roku smart TV. Roku TV personalized home screen. Dolby Vision High Dynamic Range performance. 96 Contrast Control Zones. Wide Color Gamut with NBP Photon technology. Voice Remote. Dual-band 802.11ac WiFi and Ethernet. 3 HDMI 2.0a inputs, analog video input, USB port. Height with Stand 30.6" Width with Stand 48.5" Depth with Stand 10.7"
Great TV for the price. Colors are really bright compared to my old Sony. I have not had a chance to use the HDR feature yet though. Like the Roku interface so far. Awesome picture at a great Price! The picture quality is amazing! 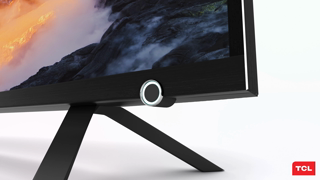 Far superior to the other lower end TVs that I have seen. And we are fans of Roku since we bought our first TCL three years ago. So far so good. Excellent picture. Great ota capabilities for us cord cutters. The remote control is awesome. The screen is damaged, hopefully the replacement won't need to be exchanged as well. Customer service was super nice and very accommodating. Roku and TCL, both are winners. This TV is such an upgrade from the one I had that was only five or six years old. 4K and Roku make it so easy to find all kinds of channels available for free and purchase. The Roku interface is very easy to use compared to what was on my old sharp TV. Well worth the modest cost of $629. The same 55 inch set in Sony Samsung etc. is two to three times as much with hardly any difference at all. To remote itself makes more sense than anyone I've ever used since there's only about six or eight buttons to push not 200 to get lost in. I never understood why most remotes have so many useless buttons that crowd out the few that you need. I Would want to buy this for the remote alone. As a Roku user, this was the perfect 4K TV for the space I had available. Multiple review sites had rated this as a top value 4K TV, and it looked good right out of the box, and even better when I did the calibration using settings at rtings.com for this set. Setup was easy, and only shortcoming is that the speakers don't give good quality (for an audio/videophile - or anyone looking for dialogue intelligibility) sound, so we're investing in Roku TV Wireless Speakers, which conveniently are on after-Christmas sale. This is a wonderful set, and the sale pricing through WalMart made it a particularly attractive deal. VERY satisfied with this purchase. Excellent. Told my extensive researching son that we researched, and bought the Roku model. He gloated and said he bought the same brand months ago. Does what it says and then some. Very easy to set up. Roku remote easy to use and the android app works with my phone. The color is excellent, and have not adjusted from factory setting. The viewing angle is better than expected based on some reviews. If you view from the normal viewing area we have not noticed any issue. Great features, picture quality, and ease of use. Our only issue is it seems to require a stronger WiFi signal than a tablet or phone to produce good video. The internal wireless adaptor is trash so the tv is always buffering. TcL tried to blame my internet service provider. I called them and they instantly knew what the issue was. I'm a little disappointed since I did so much research prior to purchasing the tv but it appears the reviews don't mention the connectivity as an issue. If it wasn't too late, I would return the tv for another option. If you are sitting directly in front of the TV, the picture quality is good, but if you move a foot to the left or a foot to the right, the picture quality begins to degrade considerably, so the viewing angle is very bad. That is to say that people sitting at the ends of the sofa, see a poor picture quality.